Connect Ubiquiti airMAX sector antenna’s and Rocketdishes to MikroTik or other products. Also to use on any Ubiquiti or RP-SMA device to connect to standard N-Female antenna’s. 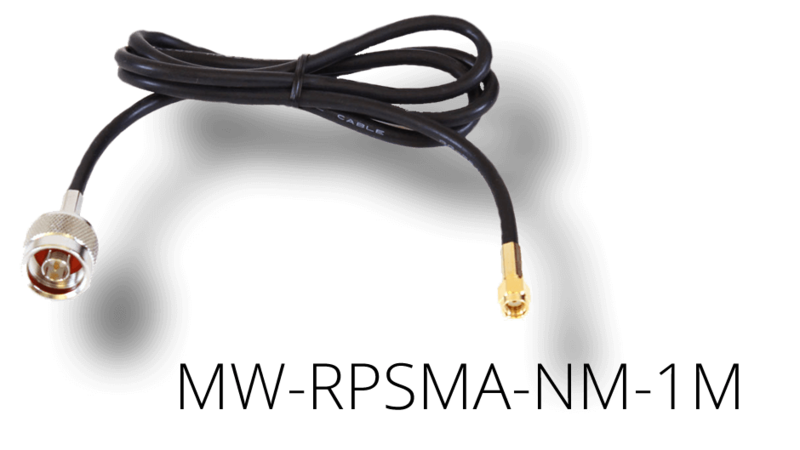 High quality fully tested Reverse Polarity SMA Plug to N-Male cable assemblies featuring a high performance low loss cable with an RP-SMA brass connector. • Made with high performance, high quality RG-58U outdoor rated cable.